Whether your toothache is a mild annoyance or a sharp and throbbing pain, it’s important to call a dentist quickly. In most instances, a toothache is caused by something that needs to be addressed by a trained dentist. It won’t simply go away on its own. Drs. Pita Dhaliwal and Kevin O’Shea of Aberdeen Dental in Vernon, British Columbia understand that a toothache can do more than just ruin your plans. If it’s not addressed the decay that causes the discomfort will grow until a simple filling won’t fix it and instead you may need a crown or even a root canal. Or if the pain is caused by gum disease, patients could need far more invasive treatments, such as surgery if they wait. That’s why the entire team at Aberdeen Dental is committed to helping their patients find relief when they call for an emergency appointment. Drs. O’Shea and Dhaliwal also offer several tips to manage your pain until you can make the call or schedule the appointment. You may be able to mitigate the aching and throbbing from an infected tooth with an over-the-counter pain reliever, such as Ibuprofen. Use as directed, but know that this medication is only masking the pain, it’s not a cure. If you have a loose tooth following trauma to the mouth, secure it with gauze or cotton until you can get dental or medical attention. If the tooth has been knocked out, hold it between the cheek and the gums to keep it moist, or place it in a small amount of milk. You can rinse the mouth and treat any bleeding with salt water. 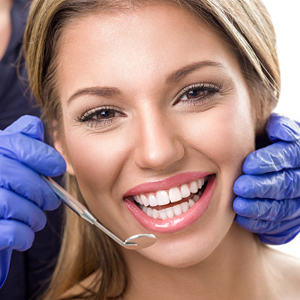 Toothaches can be treated easily and effectively if you call a dentist quickly. For more information about treating dental emergencies call the office of Aberdeen Dental today.